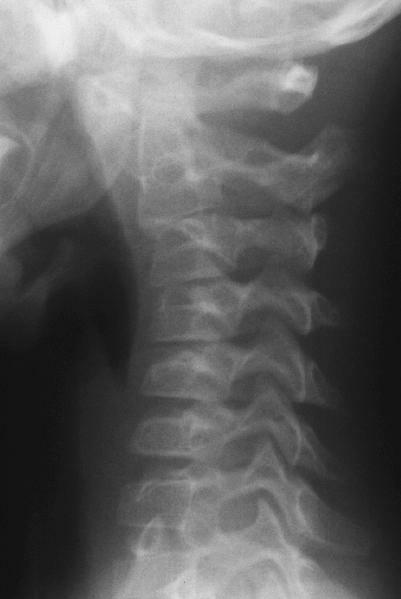 Cervical Spine Malalignment - True or Pseudo Subluxation ? walk around and she was not moving her head much. and transferred to a children's hospital. 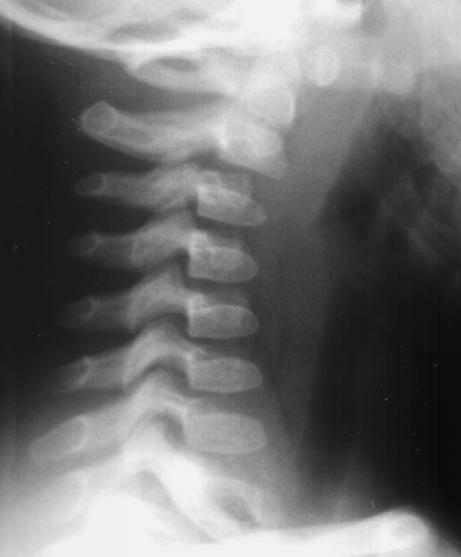 who agreed that this was a pseudosubluxation. and sensory functions were fully intact. appeared to normalize and she was ambulating well. to benign muscle spasm often following a viral infection. 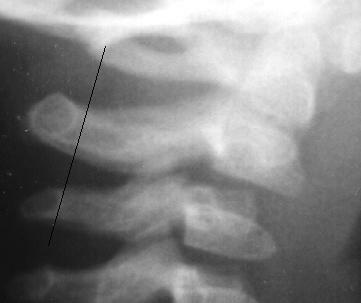 cartilaginous and not visible on radiographs. 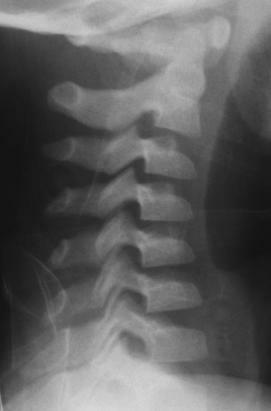 the arch and the spinous process move posteriorly). extension is felt to be due to injury (non-physiologic). Determine the Swischuk line for our patient. 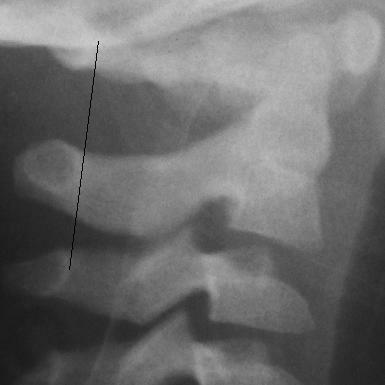 position to minimize the C2/C3 pseudosubluxation. pass within 1 mm of the posterior arch of C2 ? 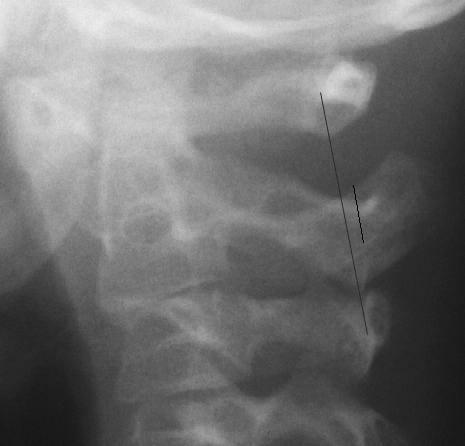 the apparent malalignment of the vertebral bodies. to draw the Swischuk line several times a day. actually see the arch (it resembles a loop). have indicated that this can be up to 1.5 or 2 mm. Letts RM (ed). Management of Pediatric Fractures. New York, Churchill Livingstone, 1994, pp. 807-831.
third edition. Baltimore, Williams & Wilkins, 1993, pp.